Santa Barbara has long held an open mind to residents and tourists with a healthier diet. As vegetarians have given way to vegans, we have seen more fruit and vegetable restaurants and blended-food establishments sprout up all over town. Our residents are so hooked on produce that we have no fewer than seven farmers markets each week. It is no surprise that the most recent trend in healthy eating has risen above the rest: Grazing. 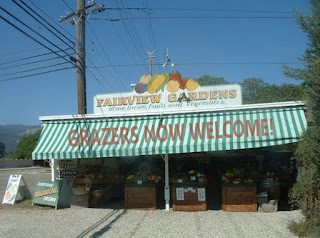 I first heard about the Grazer movement while eating lunch with a friend of mine. While my vegetarian burrito was delicious, I will admit feeling self-conscious sitting across the table from the empty plate of a Grazer-convert. Grazers prefer not only to eat locally-grown organic produce, but to eat it while it is still attached to its original plant. An apple may be delicious, but only if it is still attached to the tree it is growing from. The second that fruits and vegetables detach from their host, they begin to lose their nutrients. 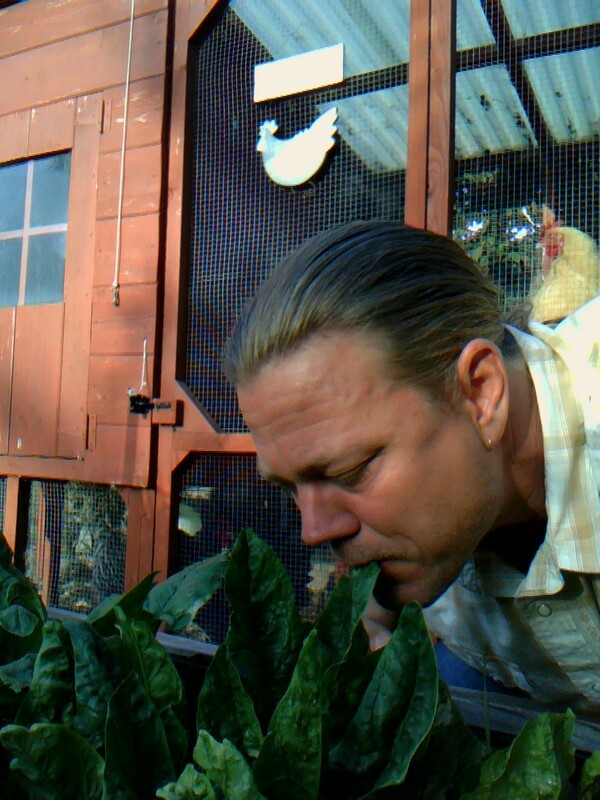 The only way to truly lock in their precious vitamins (and flavor) is to eat straight off of the vine. This can be particularly difficult for fruit like tangerines and pineapple. It wasn’t until I was at the Siam Elephant in Carpinteria a few months ago that I grazed for the first time. 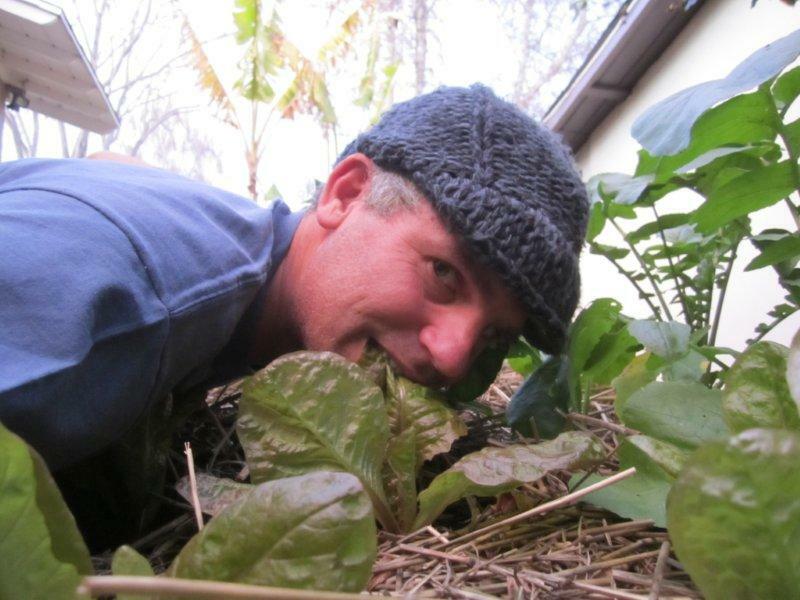 I ate outside, where my salad was growing. The cilantro and lettuce were amazing – unlike any I had purchased at Trader Joes or the Farmer’s Market. I also left feeling good knowing that my lunch was sustainable and would grow back for another patron in only a few days. Since eating there, I have learned that it wasn’t true Grazing since I didn’t cultivate and grow the meal myself, but I still had a good time. The life of a Grazer is not an easy one. For a few weeks before finally closing their doors, Fairview Gardens offered $5 grazing in their field near the Goleta Public Library as part of their honor system. The biggest hang-out for Grazers, though, has been the famous fig tree near the train station. Grazers need not cross the chains to partake in the deliciousness hanging from low-hanging branches. While it may not be an easy lifestyle, Grazing brings us all a little closer to nature and provides a humbling experience. We are not so different from cows, sheep and goats. Why should our eating habits be? I welcome my readers to post their Grazing experiences and pictures on this site so that others might become more familiar and tolerant. Thanks for this post--it's so encouraging to see Grazing finally begin to work its way into the mainstream. I do need to comment on the line about it being "difficult" to eat fruit like tangerines and pineapple. While that's certainly true for novice Grazers (or "fledglings" in Grazer-speak), once your lips and teeth adjust to the challenge it is actually very satisfying to eat through the skin and rinds of tougher fruits. The pineapple rind in particular is well-known to experienced Grazers as a spectacular source of fiber! My grazing co-op has been useful, since there have been times that a crop or two has failed me, and I needed to depend on the kindness of strangers and friends. I must say however, that my clothes are no longer at their best, as my knees and elbows have become exceedingly worn and dirty through trying to reach those out-of-reach plants. Is naked grazing next? My life has changed so much since I converted to Grazing! For years I watched my horse and goats thrive and wondered why it wouldn't work for me as well. The dirty knees and muddy clothes are a problem, but what really gets me is the sore back. I don't understand why some forward thinking restauranter (Gene?) doesn't open a snappy place post haste! BTW this is a particularly great time of year with all the mustard coming up! You have got to be kidding!! Do you dig your face into the ground for carrots and beets, eat the dirt too? Poor clueless Flicka hasn't looked at the calendar. How is it that I'm not at the forefront of grazing? Works Cited - Paul, Steve. “Low Testosterone Fat Loss Bodybuilding - FDA Approved Brands!” Testosteroneofficial.Com Ie. Testosterone Official, https://testosteroneofficial.com/bodybuilding/. Accessed 3 December. 2018.